Great job on everything & those oysters are such a great idea. Your niece is lucky to have you!! 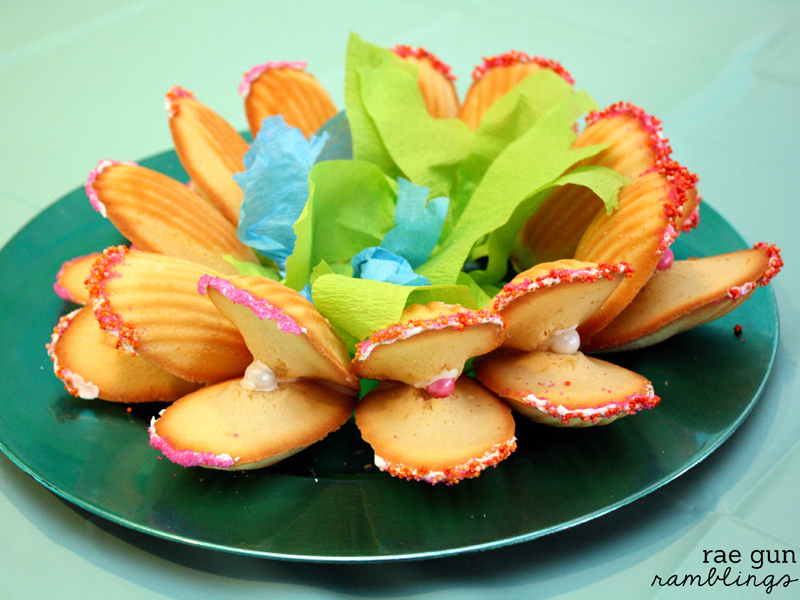 The oyster cookies are such a fun idea!! Looks like a fun party! What a fabulous party! You all did a great job with the theme and everything looked delicious. And those shell cookies are so fun! Have I said the words “Best Auntie Ever,” yet to you this week? Really cute party! I am sure the birthday girl was so proud and felt so special! Visiting from the HUGE link party on Ginger Snap Crafts! Very very cute kiddie party. The kids are having a blast. I love your oyster cookies. They are gorgeous and amazing. Please share this project at Pin It Monday Hop Where you pin and get pinned (LINK). You can share up to 4 post. We are also giving away an Ipad Mini. If you get a chance, I’d love for you to stop by and join us. I hope to see you there. Such a cute party idea! 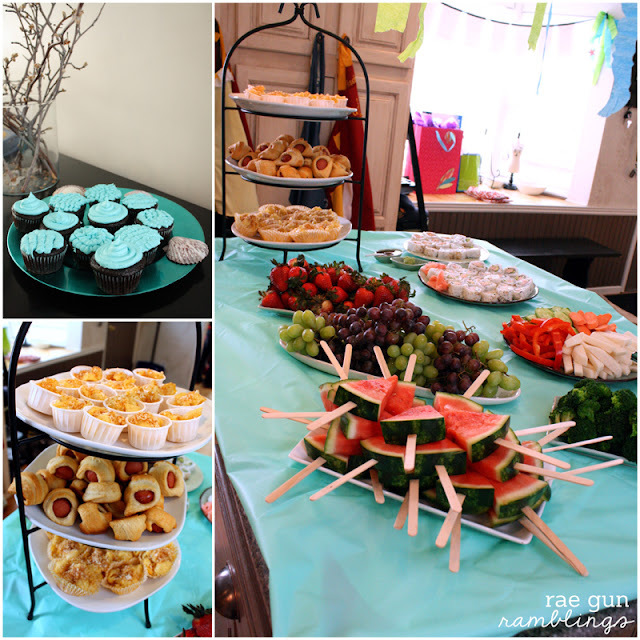 I’d love for you to link up a few posts at my weekend link party@The Weekend re-Treat! on The Best Blog Recipes if you haven’t already! How fun! The clam cookies are so cute! 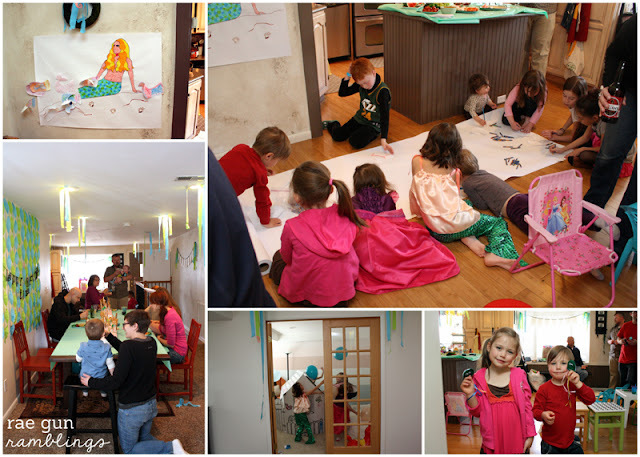 DD would love a mermaid party! Pinning it for later..thanks! How totally cute. I love your Oyster cookies! Those oyster cookies are amazing!!! Love it!! 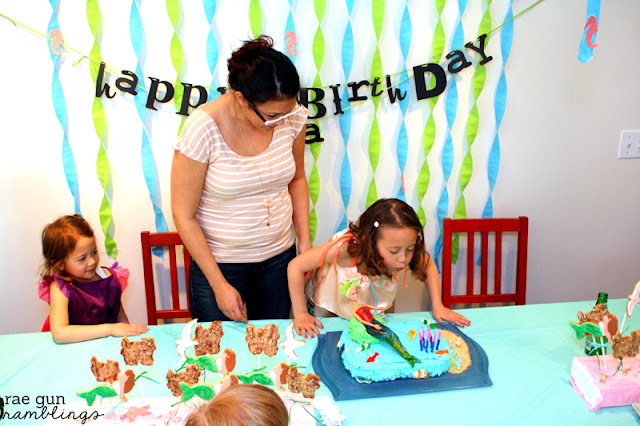 What a fun party idea; loving those oyster cookies! :) You are a Featured Favorite this week on Cheerios and Lattes! We love having you join us and can’t wait to see what you’ve been up to this week! what a classic party idea, lovely cakes! 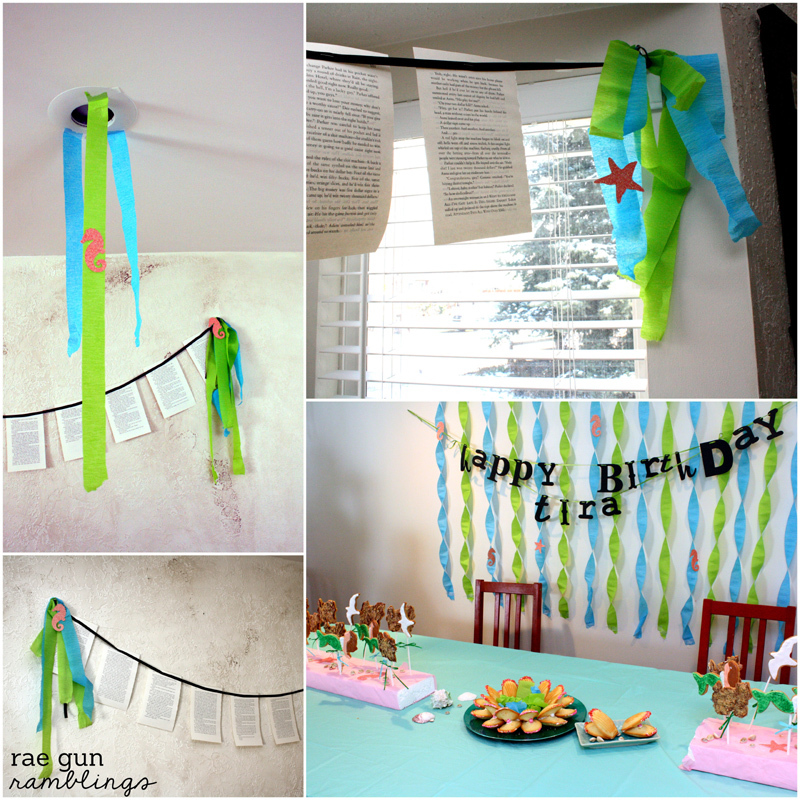 here i would like to give you suggestion , why you not look into Little Mermaid Party Ideas? These oyster cookies are so cute! Love the idea! Would love for you to share at Simple & Sweet Fridays. New Follower.